Thank you for supporting Lords Mobile and being a loyal player of our game. The Lords Mobile team will always welcome creative and constructive ideas to improve our game. 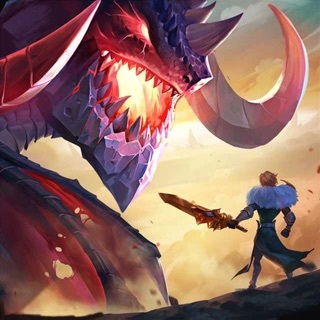 If you have any further input or queries about our game, you can contact us on Live Support or email us at ihelp.lordsmobile@igg.com. Thank you for your support. So yes I agree with most other people commenting here you have to pay big to have a shot at being a heavy contender in this game. To give you a reference point I’ve invested 200$ and approximately 2 hours per day for 2 months of my time and I have a level 24 castle and decent tier 3 troops. I’d say with the investment I’ve made I’m probably in the top 20 % of players if I had to guess based on what I see. I think to get to a level 25 castle and have decent tier 4 troops your talking either another 3 to 4 months of playing or paying another 50$ plus 1 more month of playing if I had to guess. To put things into perspective my “ might “ which is a strength system this game goes off of is 11 million. This “ might “ level represents the culmination of all your armies, building levels, resource gathering capabilities etc..combined to spit out a might number. I run into people regularly with over 100 million might that could literally kill me with the flick of a finger and I’m pretty strong. So I guess what I’m getting at is yes the game is fun but if you want to be at a competitive level and actually have fun playing... you’re looking at spending at least 250$ to 300$ and a few months to get to that level. I’d say if I spent zero money it would of took me 2 years to get where I’m at now.. at least 2 years. So either be prepared to spend money or be prepared for the long haul just know what your getting your self into. Hi there. We appreciate your feedback! The Lords Mobile team will always welcome creative and constructive ideas to improve our game. If you have any further input or queries about our game, you can contact us on Live Support or email us at ihelp.lordsmobile@igg.com. Thank you for your support. This is just like playing game of war, except with a slight twist and better graphics. A little more captivating game play that will keep you engaged while you're waiting to start new constructions or researches. Although I'm sure it's not much different than playing game of war; in the fact you'll more than likely have to drop thousands of dollars if you want to win and actually stand a competitive chance against people who obviously see money as no object. It'd be a nice surprise to one day see a game like this, which doesn't allow in-app purchases. Where those on top or in the lead, got there by their skill level and intelligence; not by their ability to drop more money than the disadvantaged. In essence, all this really is, is the battle of people's egos, and who can and who will throw way the most money; for the pointless cause of only making the game developers rich. It's a bit sickening when you think about it. All of the troubles, sorrows and sufferings in the real world, and we have people willing to dump thousands into a fake fictitious world; all just to boost and inflate their egos really. It's a fun and entertaining game though. At least until you get to the point where you will not be able to defend yourself from basically becoming a resource farm for the "elites". Thank you for supporting Lords Mobile and being a loyal player of our game. We value all player input and strive to provide a better gaming experience for all Lords and Ladies. If you have any further input or suggestions, kindly contact us on Live Support or email us at ihelp.lordsmobile@igg.com. Have a great day!